They work fine. When Estibot updates it takes a day or so for the new valuation to appear on the Namejet listing. I guess we’ll see, though this domain isn’t a good litmus test since this disconnect was posted publicly. Also strange that if what you’re saying is accurate that Estibot would drop the valuation by 50%. That would say that the former valuation was no good and unreliable. I’m sure it’s true though. I had the opposite thing even happen. A domain of mine listed on Namejet that showed a lower estibot appraisal than the one on the actual estibot site. One day later it was updated and both sites showed the same estibot appraisal (I did not mention this to Namejet so it updated automatically). Estibot updates their valuations regularly but on Namejet it takes 24 hours (more or less) for these updates to appear. So it’s possible you will see a temporary discrepancy between valuations on the 2 sites. Valuations on estibot change quite often. It depends for example on sales of similar domains. 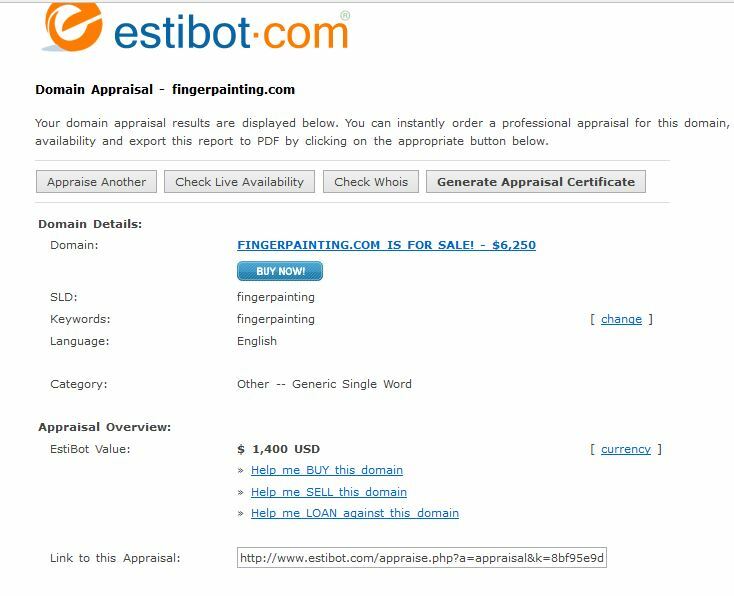 It could be that a “similar” domain to fingerpainting.com got sold really cheap so estibot decided to lower the valuation of fingerpainting.com as well (and namejet is one day behind so it still showed the valuation from the day before). That said I question the “similarity” as a calculation part of the valuation in a lot of cases. A domain is worth what someone is willing to pay for it, no valuation can measure the pockets of someone. Thanks for sharing. That’s one of the reason I don’t use any appraisal sites to valuate domains and Estibot is one of those crappy valuation tool. I suggest everyone to simply ignore and save their time. We’ve spoke about this over on our website as well. Try not to rely on automated website tools. It is false advertising, and if you are bidding it will cost you money. Many consumer laws forbid such activities. As a long time domain investor and developer, I am surprised that popular sites and even some notable domainers still make reference to estibot. It’s common knowledge that appraisal tools are worthless for premium domains. They may have some limited usefulness in assigning a value to lower quality commodity type domains. We used to run domain name comparisons to easily demonstrate the dramatic inconsistencies with automated appraisals. There must be something else driving people’s fascination with these things. It raises a problem though when industry veterans legitimize automated appraisals by mentioning them. Mentioning something and legitimizing it are two very different things. The problem lies not with the person mentioning something, it would lie with the person thinking that a mention equates to a recommendation when there was no implicit recommendation. I find Estibot interesting. I don’t base my purchases on the estimates. Its just another data point that one could consider and they have ‘comparable’ (though I use that term loosely) sales listed and search volume and search trending. I think most domainers (me included) use Estibot mainly for their interesting tools (lead generator, domain parser, domain generator, domain filter,…), but not for the valuation part. I think we all know the valuation is usually way off and should not never be interpreted as the actual value of a domain. 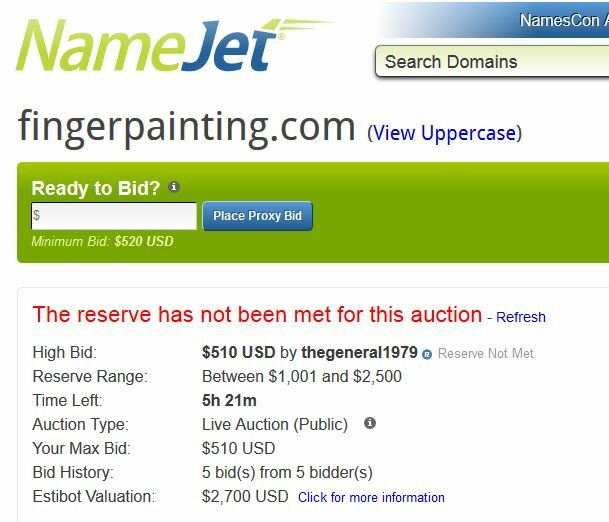 I’m not sure why Namejet decided to list the valuation, I’m not a big fan of it personally.